A serious incident occurred at Helsinki-Vantaa Airport when a tower controller cleared a taxiing Finnair Airbus A319, AY933 to Manchester, to cross runway 22L, onto which another aircraft SAS CRJ-900ER, flight SK1706 from Copehagen (OY-KFB) had landed and was still in its landing roll. SK1706 had not yet passed the intersection point of the two aircraft's paths. The incident occurred during busy morning rush-hour traffic and the tower controller was managing several simultaneously taxiing aircraft which were waiting for clearances to cross runway 22L from holding points Y, ZD or ZG. The tower controller mixed up the positions between the two aircraft and instead of issuing the clearance intended for the aircraft taxiing to holding point ZD the controller issued the clearance to the aircraft taxiing to holding point ZG. The pilots of the aircraft cleared to cross the runway noticed the aircraft that was in the middle of its landing roll. They then requested the tower controller to confirm their clearance, at which time the controller corrected the mistake. The control tower did not have a technical 'safety net' that could have warned the controller of the incorrect decision. Owing to the position of the terminals at Helsinki-Vantaa Airport, departing aircraft must taxi across runway 22L when runway 22R is in use for departures. The Aerodrome Chart designates the crossing points as Hot Spots. 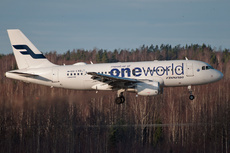 Finavia has evaluated the hazards of crossing an active runway in 2002. To support tower controllers, Helsinki-Vantaa control tower uses a surface movement monitoring and positioning system (Advanced-Surface Movement Guidance and Control System, A-SMGCS), an electronic flight progress strip system and a stop bar system. According to air traffic control instructions, stop bars are not used in places where aircraft are repeatedly crossing the runway. The investigation showed that many changes had taken place in airspace management, equipment and systems as well as in work practices. Technically oriented issues associated with the changes have taken priority in the air traffic controllers' refresher/recurrent training, while human factors training has got less attention.